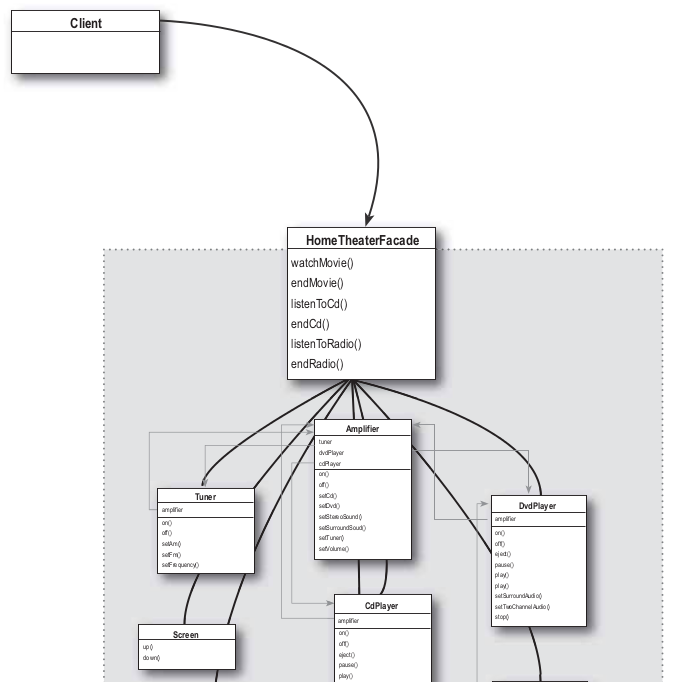 Design patterns: facade » Hello World! If you want to watch a movie there is few-steps procedure to set all the components of your home theater. Once you’ve done it you’re already tired. If you manage and finish the movie you have to repeat all the steps in reverse. Listening to a CD or a radio isn’t easier either. And things are getting more complex when you want to add new components. Facade pattern is the right design pattern to help you! 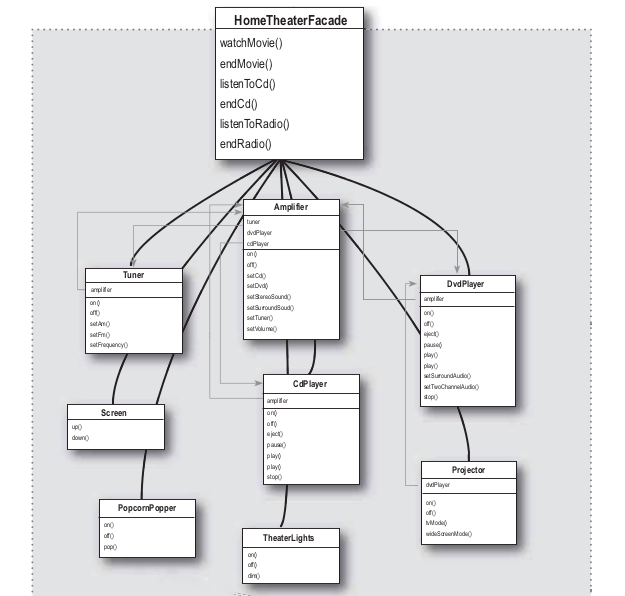 The Facade Pattern provides a unified interface to a set of interfaces in a subsystem. Facade defines a higher-level interface that makes the subsystem easier to use. 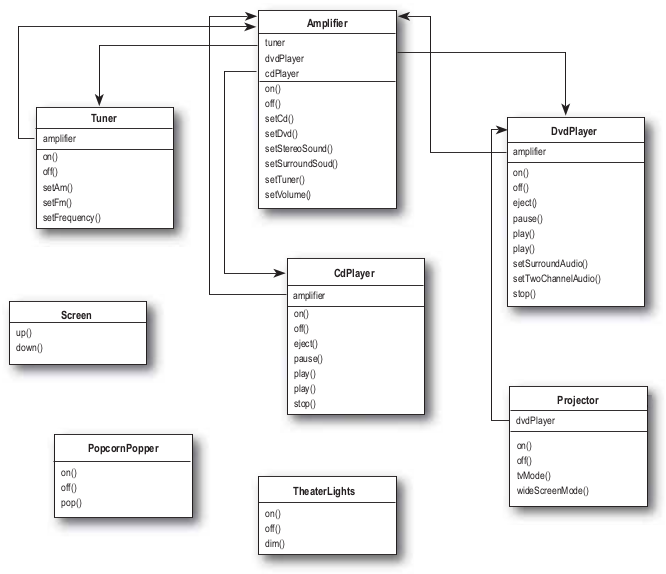 any components of the object (objects that are referenced by an instance variables). The client is coupled only with the facade which makes the client simple and flexible. Changes in any of subsystem’s classes don’t affect the client. There weren’t any code snippets presented in the post content but as always you can download some code examples and take a look at them. Thank you for this. I’m new to programming and enjoy when examples are relatable like this, as I can make more sense of them without having the barrier of prior knowledge getting in the way.